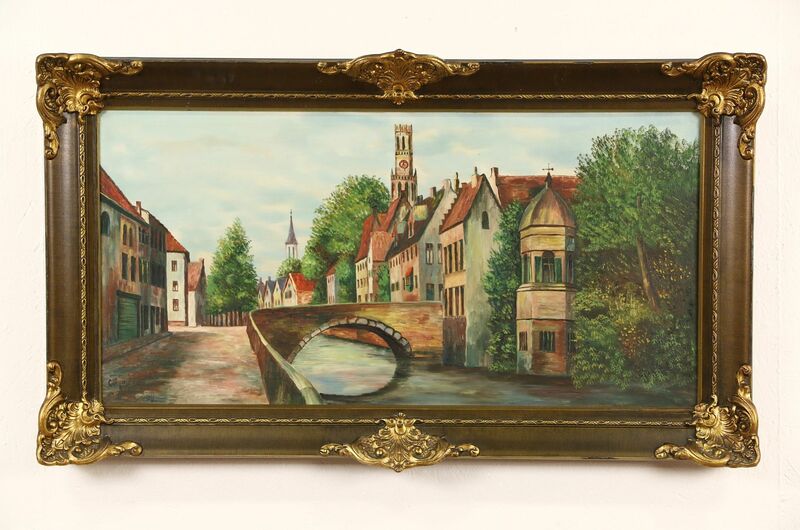 An original oil painting on canvas from the 1920's depicts a canal in one of Europe's most beautiful cities, Bruges, in Belgium. This undamaged work of art is signed "Gollyn." Soft brick and tiles contrast beautifully with the slow moving water and sky. The lavish bronze and gold color original frame has touchups. Overall size is 46" wide, 26" tall and 3" deep.